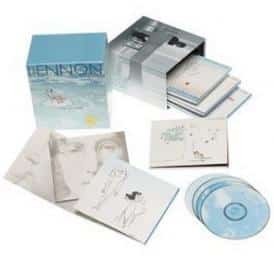 Used in the latter part of his career with the Beatles (most notably on the Revolver sessions) and for much of his solo work, Lennon’s Casino was a highly personalized instrument that reflected much his maverick spirit. 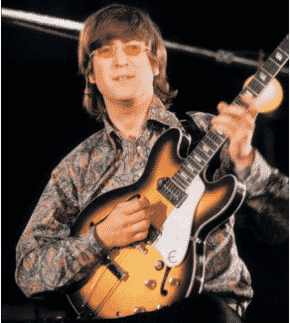 Purchased by Lennon in 1965, the hollowbody originally had a sunburst finish and a pickguard. 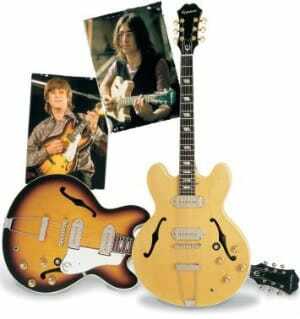 By 1968, however, in the search for a more resonant sound, Lennon had stripped the finish and removed the pickguard, leaving only the natural, instantly recognizable guitar that he is so often associated with. In order to reproduce the instrument as perfectly as possible, representatives form the Epiphone company paid a visit to the legendary instrument a the late Beatle’s New York apartment, where it had been stored, virtually untouched, since his death. Precise measurements of the guitar were taken and tests performed on it, and the findings returned to Epiphone’s Nashville factory. The results of all this research is the “Revolution” Casino, and eerily “alive” guitar that features a hollow, laminated maple body and top, mahogany neck, two Alnico V P-90 single-coil pickups and a no-nonsense control layout featuring a three-way pickup selector and two volume and two tone pots. 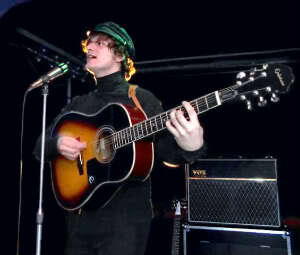 As on Lennon’s guitar, the top-mounted screw and spacer for the pickguard are still in place, and there is even an unfilled screw hole on the bottom side of the guitar where the pickguard would have anchored. The natural satin finish feels refreshingly woody, and the 22-fret neck plays like butter. However, guitarists who like to engage in upper-register wailing should be warned that, like all Casinos and Gibson ES-330s, this guitar’s neck joint is at the 14th fret, making it difficult to play comfortably anywhere about the 17th fret. 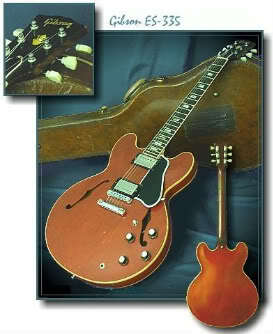 The combination of P-90s and hollowbody construction has always yielded great results, and this guitar is no exception. The Casino has an organic, almost spongy tone that imparts clean chords with a bell-like roundness, while distorted tones are throaty and rude. The guitar’s rich harmonic content makes virtually any amp sound like it’s running in some sort of Vox-like Class A configuration, and through and old Vox the Revolution Casino would certainly sound, well—one can only imagine.